One knows that Spring has come to Brussels when the winners of Juvenes Translatores descend upon the city. 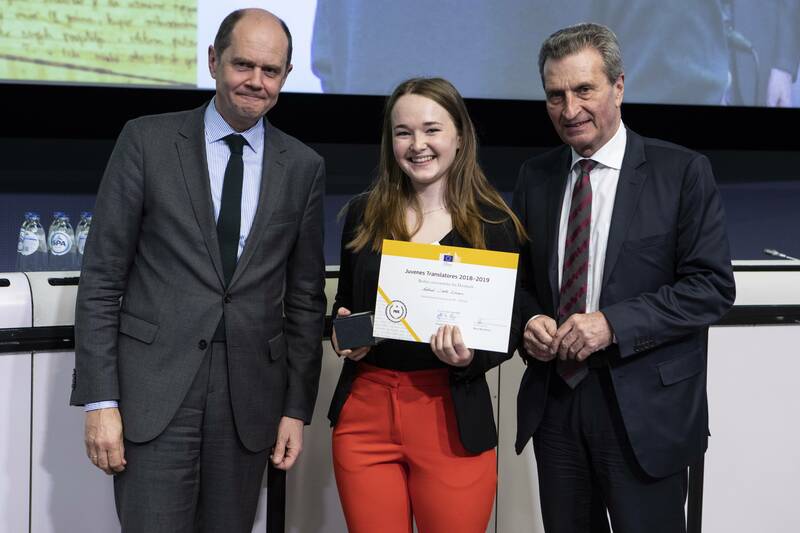 So Rytis Martikonis, DG Translation Director-General, affectionately pointed out as he officially opened the awarding rites on April 4, 2019. 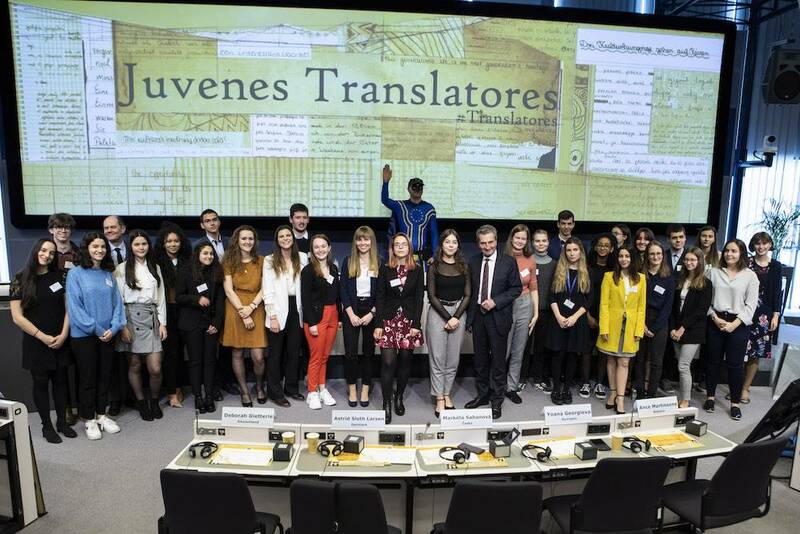 As previously reported, 28 young translators emerged victorious among a field of 3,252 participants from 751 European schools in this, the 12th edition of annual contest organized by the European Commission. Under the theme European Year of Cultural Heritage, the translators worked with 154 out of 552 possible language combinations between each of the European Union’s 24 languages. “Most of you were born, more or less, around 2001. So you are the best of the millennials!” Martikonis proclaimed to the young audience and their families. 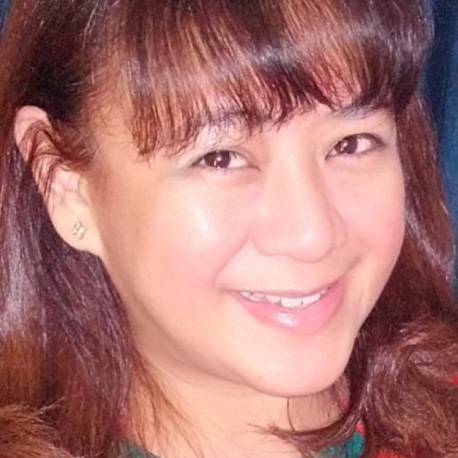 She has had a fascination for languages since childhood, recalled winner Ana Silva of Portugal. “But it was only this year that I was able to accept this challenge of translating into my own language — and I appreciated just how gratifying such an experience can be,” she said. 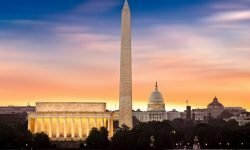 This view was echoed by Astrid Sloth Larsen of Denmark, another winner, who noted that “language gives you the key to a country’s culture,” something she realized while on a student exchange trip to the US. Asked by Miha Zlicar of the DG Translation, if machines can help, Holmén quipped in reply, “Certainly, but we will have to help them along the way.” Holmén and Zlicar were the event’s masters of ceremony. 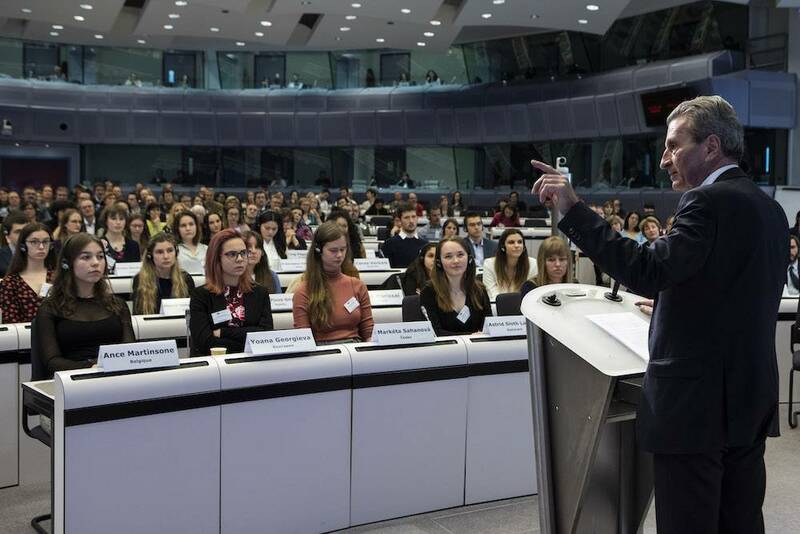 Prior to handing the young translators their prizes, Günther Oettinger, European Commissioner for Budget and Human Resources, admonished them to look to the future by considering where Europe came from. Once more, Slator congratulates this year’s winners. See you all next Spring!